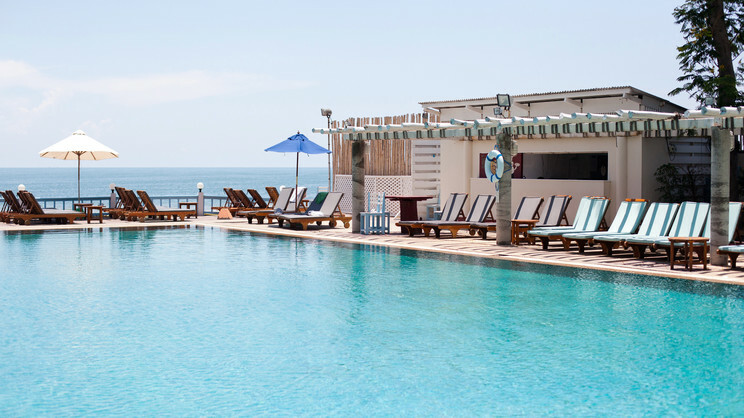 Immerse yourself in the tropical splendour of Thailand and enjoy a sensational holiday in paradise at the Chom View Hotel, Hua Hin. Sitting beside soft golden sands and emerald waters, this tranquil tropical retreat welcomes families, couples and solo travellers. Charming accommodation awaits you, as well as delicious cuisine, leisure facilities for all ages and of course a captivating holiday in this magnificent part of Thailand. The Chom View Hotel is located next to the beach. A variety of restaurants and shops can be found close to the Chom View Hotel. Suvarnabhumi Airport in Bangkok is approximately 231km away from the Chom View Hotel. Speak to our travel specialists about arranging transfers.